Sultry singer, Yemi Alade is known for her eccentric style and choice of fashion. She has dubbed herself Mama Africa and her style certainly screams African pride, even though you would often wonder the concept she is trying to pull. One of the fabrics she uses to set herself aside is Ankara. Her love for Ankara is immeasurable as she uses it the most to convey her persona. 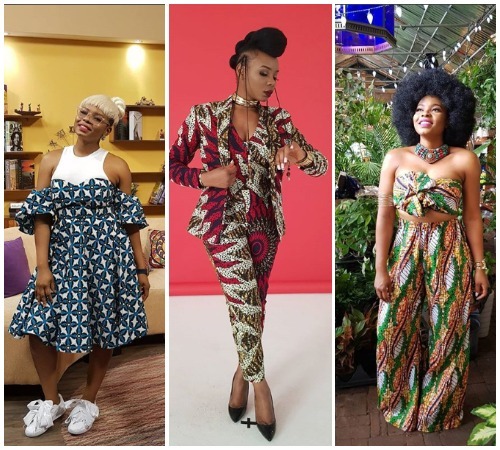 Yemi can, therefore, teach a thing or two about how to style your Ankara, even though some of these fashion will make you turn your heads, but she has managed to create her own unique style and fashion. These are 13 photos of her showing her unique Ankara fashion. 5. And who says you can’t wear a three-piece Ankara suit? 13. Yemi brings life to this photo of her in a mono Ankara blouse.